When you create content, one of the most trivial task is to share it on social networks. I bet that this is one of the first thing you do after you hit publish. However, as social networks became mainstream, the attention span has plummeted there. To make things worst, if you’re posting on Twitter, your tweet has a very short lifetime ; if you’re posting on Facebook or LinkedIn, the filtering algorithm would only deliver your post to less than 10% of your audience. If you want to optimize the distribution of your post to your followers, you need to counter these 3 effects. To do so, some are buying sponsored content, and some are repeating the distribution over time, to multiply the occasions to be seen. In this post we are listing tools that will help you to repost your content to social networks over time to increase your reach. Let’s say that you are posting on your Facebook page with 1 000 followers, and that your reach is only 10% there : when you post something, only 100 people see it in average. Most content creators unfortunately stop here. If you wait a few weeks and share the same link with a different message you will again reach in average 100 people. Among them, a dozen already saw your post the first time, but the majority just get exposed to it for the first time. A fair approximation here would be that 10% of those people already see the post the first time. So, by sharing it the first time you reached 100 people. By sharing it a second time you reached : 100 + 90 = 190. You almost doubled you’re initial exposure! Consequently, if you keep waiting a few weeks and sharing the same link in a new post, you might be able to reach the majority of your engaged followers. Of course, some of them would notice the repetition, this is why you need to wait some time before sharing it again, and this is why it’s better if you change the associated status. If we are considering that your page is not getting new followers, by reusing the previous assumptions (for every new repost the original reach efficiency will decrease by 10%), you will reach (100+90+81 =) 271 distinct people after the third time, 344 the 4th time, 410 the 5th time, 470 the 6th time, 522 the 7th time. So you need to share at least seven time your content on Facebook to reach half of your fans!!! As you see, a simple calculation shows that even with a ‘static’ Facebook fan page, repeating content is more than needed. But, as you are probably getting new followers every week, the impact of repetition is much more important. When new people follow your page, they have not been exposed to your past content yet, so the repetition is a great way to send them relevant and useful content to get engaged with you. As we are building Repost, we got a pretty wide view of our competitors. We decided to list all the currently available alternative solutions (the most famous being Meet Edgar ). As you will see, Repost is the only one that is aimed at content marketers and not at social media managers (to be fair Content Sleuth will probably be also aimed at content marketers ). Most of these tools require to pay to use the recycling feature, so we haven’t tested them. Repeat your tweets to get more clicks. Description: With 1001 Tweets, you just need to connect your twitter account , then the next time you post a link, the tweet will be repeated for a given number of times automatically. Pros: One of the simplest tools from this list. Just connect your account and you’re done. You can also filter and only repost tweets linking to a specific domain. Use Case: If you are looking for a simple way to re-publish your tweets about your blog articles. Let your Twitter never run out of content. Description: With Airtweets, you can share and recycle evergreen content on your Twitter timeline but also on your coworkers or employee timelines. Pros: The tool adds a curation feature to help you find great content to reshare. You can also share your Twitter account inside your team. So you can set a recurring tweet on your teammates timeline. Cons: It’s only for Twitter. The beta version will only be available in December 2017. Yet it seems the team is not renewing the SSL certificate of their website, which means it’s difficult to browse it from a modern browser. Use Case: If you run a small team and want to reshare content on their timeline. Description: Buffer is probably the most known tool from this list. It has been experimenting a new content recycling feature lately based on their content library (it has only been available to their Business plan users). However, after a few months of experiment, they decided to stop this feature. Pros: The tool was integrated directly within Buffer. All your previous content was accessible. As Buffer is a widely known tool, it was saving you from an extra paid membership. Cons: The feature has been discontinued. The UI was not really easy. It was difficult to add articles to the library. 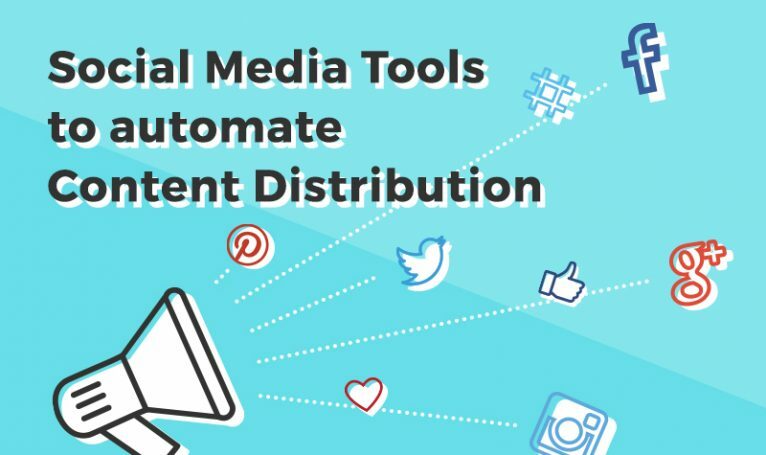 Social Media Automation, Analytics, and Outreach for Content Marketers. Description: Content Sleuth seems like a really promising tool that looks very similar on paper to Elokenz. We have the same purpose and ultimately features will be equivalent. With Content Sleuth you will be able to manage your social media automation, your outreach, your curation and your analytics from one central place. Pros: The tool allows much more than just recycling your content. Cons: The tool is not ready yet (the founders said it should be in Beta in early 2017). Use Case: If you are an SMB which needs to reduce the number of tools you pay for. Powerful Social Media Management Tool. Description: eClincher is a all-in-one social media tool. It has very extensive features for posting, scheduling, reusing content on social networks. It has an auto-posting feature that allows you to recycle your content : when your classical updates run out, it picks a previous status and reuse it. Pros: The tool allows much more than just recycling your content. It is a complete toolbox for social media managers. Use Case: If you are a social media manager looking for an alternative to Hootsuite. Increase your social media traffic by reposting your evergreen content, forever. Description: Repost by Elokenz is a social media tool for content marketers. Users need to store their content in the Library, sync their social accounts and then Elokenz will pick up the most relevant article to be reposted day after day. Note that, on the contrary to other tools presented here, Elokenz does not offer standard status reposting (when there is only text and image). The tool biggest value is to increase the amount of clicks on your content in the long run, by optimizing the repost frequency of outperforming articles. Pros: It offers a free plan. You receive a daily digest of your performance. The tool was made for content marketers, so it does a great job in increasing your traffic by reposting your articles on social media. Cons: You cannot repost text-only statuses. Use Case: If you are blogger or content marketer who needs to recycle his content on the long run, to amplify distribution. Have a never-empty Buffer queue. Description: Despite being an independant product, Hiplay is like an add-on to Buffer. You connect your Buffer account to Hiplay, it will list your recent statuses, then you can decide to set them as evergreen. Every day, hiplay app will select a given number of those posts and reinsert them in your Buffer queue. Pros: It is very simple to get started and use it. Cons: You need a Buffer account. The selection and configuration is not very advanced. You need to connect to the app frequently to add new content. Use Case: If you use Buffer to share your content, you might find this tool handy to set some special posts and re-Buffer them automatically. Description: MavSocial is a social media tool that focuses on visual marketing. It allows to manage a library of pictures and videos and to post the on social media. It has an option to repeat the publishing of a post. Pros: It is focused on media, so if you’re into Pinterest or Instagram, this seems to be a good tool. Cons: The repost feature is pretty expensive and it doesn’t seem to be pretty advanced. Use Case: If you mostly use your social accounts to share visual content. Description: Meet Edgar is a well-known solution for recycling your social updates. It has long been the only one to offer this feature on the market. With Meet Edgar you define various queues, and add content on each of them. When you queues are empty, they refill automatically be reusing the oldest content from the queue. Pros: It is the historical solution for recycling content on social media, so the tool became pretty mature. Cons: It is an expensive tool and is not suited for freelancers or SMBs. Consider using it if you are a social media professional or an entreprise. Smarter content. Better posts. Mind boggling results. Description: Post Planner is a tool that tries to boost your engagement on social networks. It helps you with the curation and scheduling. It apparently has a feature to recycle evergreen content. Use Case: If you want to grow on Facebook or Twitter and need suggestions for the curation. Recycle your best updates on social media. Description: Recurpost is a tool that allows to set various queues, associate updates to each queues, and then repost them for ever. It’s pretty similar to meet Edgar in this way. However it’s a free tool, and it’s still young in comparison. The UX seems very poor for the moment, and no onboarding can help you to get started. Pros: It offers a free plan. Cons: The interface and user experience is poor. It gets very tricky to get started with the tool. The complete social media management platform. Description: Sendible is a all-in-one social media tool. It’s a powerful platform for managing your social media presence, for a single user or a team. It provides curation and analytics features. You can define distinct queues, and add content that will automatically repeat on these queues. Pros: It is a solid social media platform for social media professional. Use Case: More suited to social media profesionnals who need to manage multiple account. The smartest way to do social media. Properly.. Description: SmarterQueue is a powerful solution to recycle social content. The tool is pretty similar to Meet Edgar but offers a cheapest entry plan. You define queues, each queue has a library of status that can be posted once or several time. It also offers some analytics and curation. Pros: The tool has lots of features, including something to import your past popular tweets to get them back directly in Smarter Queue. Cons: Despite a detailed onboarding tour, the tool has many features that cannot be grasped quickly. You’ll need some time to get familiar with it. Use Case: Suited for social managers who want to get set once and forever with social updates. Let a superhero help you manage your Facebook. Description: Revive Old Post is a WordPress plugin that will automatically revive/refresh your old posts (as the name suggests :D). It integrates natively with your wordpress blog and allows you to repost infinitely your articles. Pros: The tool is pretty simple to use. Cons: It can only be used on WordPress. Also, if you have several disctinct blogs, you cannot have a common schedule for them. Use Case: If you have a single wordpress blog and want to make the most of all your articles by sharing them on the long term. If you want to repeat your content, you have a large number of available tools. Be sure to try them before picking the one that fits your needs. While Repost by Elokenz is great for reposting your own articles while increasing traffic, is bad for curating and filling your social media queues for instance. We probably missed a few tools (the ecosystem is changing so fast). So, if you want to add some suggestions, post a comment. Be careful about the way you put it because we will remove spammy comments. Have you any feedback about some of these tools ? Same thing, post a comment to let other readers know. ps : this post was written after a discussion with Dylan Robertson. His answer on Quora is the most upvoted on the topic and Dylan is going to publish an updated article pretty soon. We will include the link here when available.